Aside from Google being our best friend, it’s also a huge advantage to become familiar with all the great blogs available out there for Network Engineers (aside from RouterFreak, of course). It’s amazing how easy it has become to have access to free online networking resources. Whether you’re already an expert or just starting out with your Networking career, not only will it provide you more in-depth knowledge about a certain topic, blogs can substantially add to your perspective as a Networking candidate and then of course, keep you updated with the latest trends and technologies. This is the official blog of Cisco. This is where Cisco’s community of experts share their first-hand experience and knowledge about everything Networking-related. Most of the writers here have multiple certifications- usually CCIE- or have worked for Cisco some time in their career. Which makes this blog substantially powerful in terms of updates and new Cisco trends and programs. You can also view and download annual reports from this site. One of the most active and frequent publishers of relevant content is Network World. Some of their categories include Linux, Networking, Cloud Computing, IOT, Data Center, Security, Software, Mobile & Wireless and many more. Aside from their free content, users can sign up to become an Insider which is a membership that gives exclusive access to more content information including downloadable attachments. One of the highlights of their site is the News section where you can browse through current happenings and events in the world of IT and Networking. The blog of Network Computing gives you access to videos, reports and webinars They have a tech library where you can access the latest white papers, research webcasts, case studies and more. They cover a wide range of topics like Mobile, Cloud and Data Analytics. You can also check out their Dark Reading section which is all about Security, Network vulnerabilities and Threat intelligence. David Bombal is also a contributor to their blog. ipSpace.net offers online courses, subscriptions, consulting services and workshops. They are a vendor-independent blog and website focusing on scalable physical or virtual architectures, emerging internetworking technologies, and stable real-life solutions. Most of their blog topics are focused on automation, implementing and upgrading certain technologies on existing networks. Some of their blog posts include a podcast that you can listen to and download. Netcraftsmen is an IT services company that provides technology solutions like Cybersecurity, Unified Communications, Data Center, and Cloud Solutions to small-medium sized businesses. Their site is one of best ones to follow. It has case studies, newsletters, seminars, webinars, white papers, ebooks and, of course, their blog. Get ready to read great articles about Business, Leadership, Networking, Infrastructure, Security, Wireless, and SDN (Software-Defined Network). It’s the blog for both technologists and business leaders. Access the latest news, insights, and advice on how to use technology to grow your business. This blog site has a little bit of everything. They constantly post about new tools, reviews and how-to’s. The great thing about this site is the way their topics are carefully categorized. Each article they post targets a specific audience. Whether you are a business-owner looking for the best and affordable equipment for your soho network or if you are a tech newbie wanting to know more about different networking devices, SmallNetBuilder has a category for you. They have topics about the basics of Wireless, LANs, WANs and NAS. They also have forums where users can provide their own insightful tips and reviews. Got a question? The answer is only one click away. 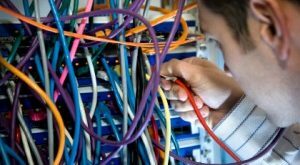 Network Engineering Stack Exchange is a question and answer site for Network Engineers. Anyone can ask, anyone can answer and the best answers get voted to the top. Even if you have no questions to ask, you will benefit a lot from checking out each thread. It also saves you a lot of time when you encounter issues. The topics range from Cisco routing, switching, wireless and firewalls. Don’t forget to add it to your bookmarks. Kevin Wallace is a Cisco Certified Systems Instructor with two CCIEs and in my opinion, one of the best names in the industry to follow. He gives free webinars on CCNA R&S and Cybersecurity topics and then gives out free ebooks, exclusive access to new short courses and best of all – discount codes! – at the end of the class. The last time I attended, he freely gave out his latest book: Your Route to Cisco Career Success. Don’t miss out on the next freebie! Founded by Scott Smith- a dual CCIE – and his brother Derek. ThinQtank started out as a consulting business and is now a fast-growing certification and training company. Aside from their blog and other free resources online, they also give out free live training sessions and if you are a member of The Best Damn Cisco Certification Group in the World (and you must!) feel free to ask or post about anything I.T. or Networking related and you will most definitely receive a response right away. Don’t you just love active Facebook groups? ThousandEyes is a company that provides tech solutions for enterprises and service providers. They have their own blog where they post mostly about their product updates, outage reporting, and how-to guides for monitoring modern networks. 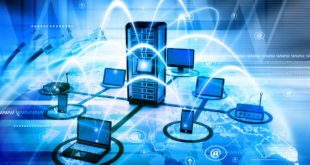 They blog about a wide range of topics from monitoring Office 365 to Migrating from MPLS to direct internet access (DIA). This is the site for you if you are into network monitoring and you want to stay updated to the latest trends and practices in that field. 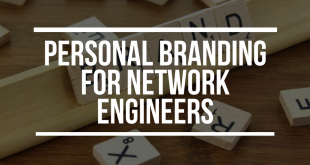 And that sums up the list of our top blogs to follow for Network Engineers. If you are already following these blogs or just learned about them, let us know in the comments what you think. Also share with us the blogs that you follow. We’d love to know!